MULTIPLE SITE RESERVATIONS are processed one at a time and cannot be under the same name. If you are booking more than one site for the same dates we require a deposit for each site and the name, address, phone #, email address, type and size of RV (if applicable) and number of people for each site. Reservations are made 9 months to the date in advanced. If the date you need to call falls on a Saturday when the office is closed then please call on Friday. If the date you need to call falls on a Sunday when the office is closed, then please call on Monday. 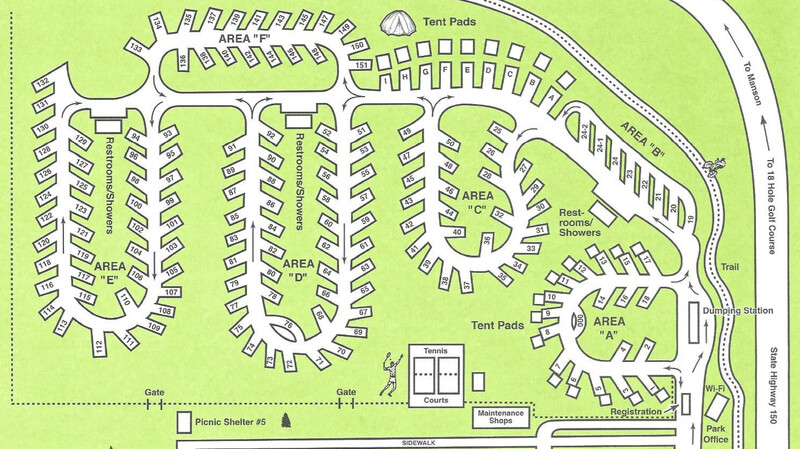 We offer 163 full hook up sites for RV’s (water, electric, sewer & cable), which will accommodate up to a 40′ RV including 22 sites with 16 x16 tent pads for those campers who enjoy sleeping out under the stars. There are picnic tables, a dump station available and ADA accessible restrooms and coin operated showers. We also provide free internet access for our guests throughout the RV Park. Lakeshore RV Park rules & policies.